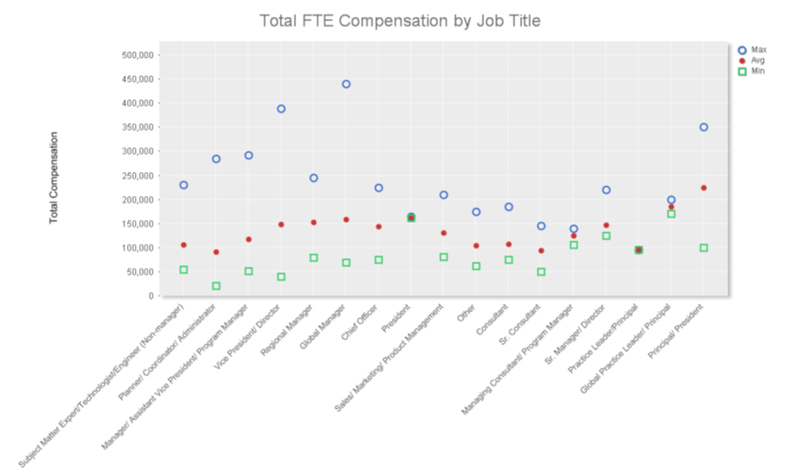 Average Total Compensation (Base + Bonus) by Job Title - USA - BC Management, Inc.
Click on data graph for a larger image of the photo. This is just one of the 30+ data charts/tables available in the BCM Compensation Report. Compensation is assessed by certification, degree, management/ leadership skills, geography and bonus. Be sure to participate in BC Management's 11th Annual BCM Study by December 15, 2012 so you can get your complimentary copy of this world-renowned report, exclusively for business continuity, disaster recovery, emergency management and crisis management professionals. Participate Confidentially Today and IMMEDIATELY Receive a Link to Download the USA BCM Compensation Initial Results Report (2012 compensation review)! Learn Here How the BCM Compensation Report will Benefit Your Career and in Hiring New Personnel.